Matt and I are two of the very few people who've seen a coral snake in Sabino Canyon. (Or in the 'wild' at all. Even "Reptile Guy" aka Tom at Tohono Chul asked for our photos for his presentations. And he's lived here a lot longer than we have.) We saw ours in 2008 on the Phoneline trail. 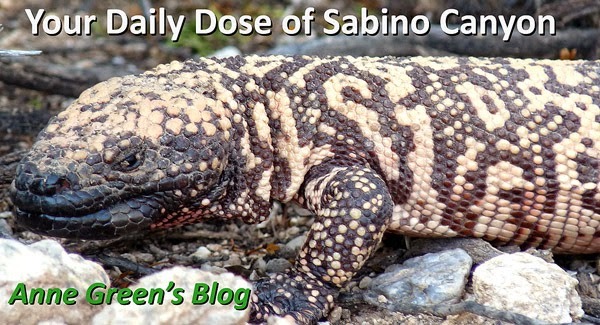 As thin as a pencil, about a foot long or so, probably fully grown. 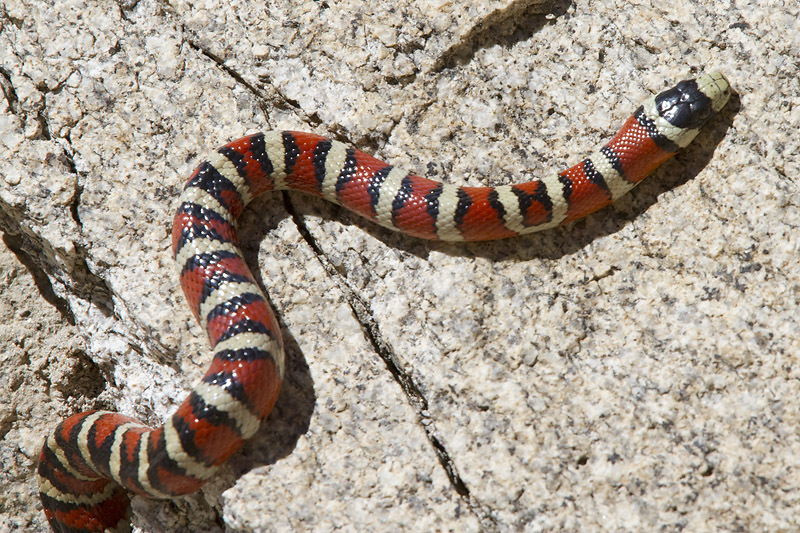 Ned photographed this Mountain King Snake on Mt Lemmon. 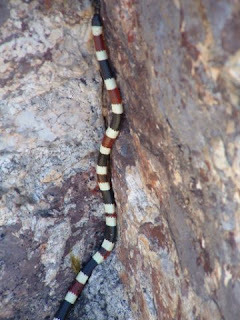 These snakes are probably an example of mimicry: "the similarity of one species to another which protects one or both." 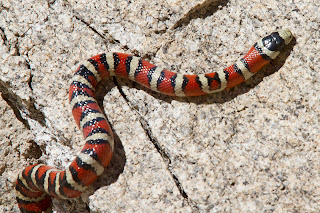 Basically, animals learned that coral snakes (not to mention gila monsters and other red/orange and black combos) are bad food choices, those mountain king snakes with the most of these colors were not preyed upon (as much, anyway). They survived to reproduce (as did the cautious animal who chose not to eat them or any other similarly-colored being). Evolution in a nutshell. Or a snake skin. 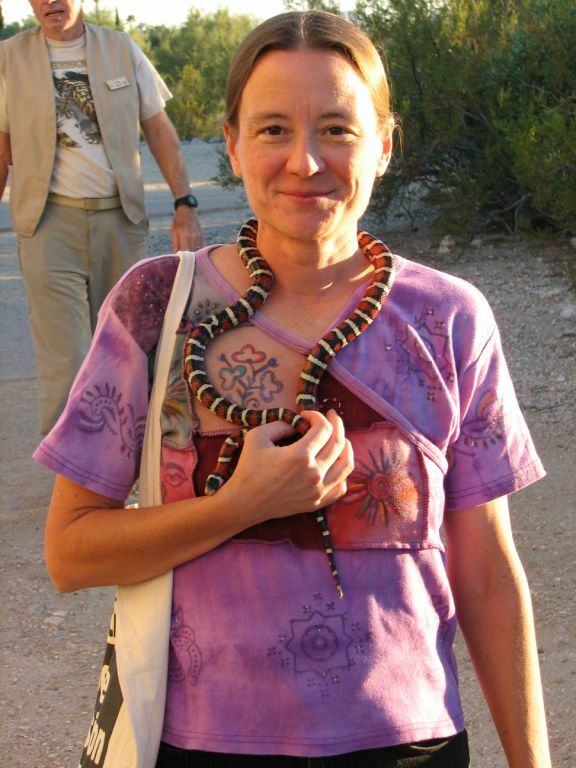 Anne makes the right choice in neck wear.